In this tutorial, you will learn to make fade in animation in android application. In android, there are many ways to make fade in animation and here I have used <alpha> tag. For the fade in animation using <alpha> tag you have to create an anim folder in your res directory. Create an anim folder in res/ directory and also create fade_in_animation.xml file in res/anim/ directory and place the following content. 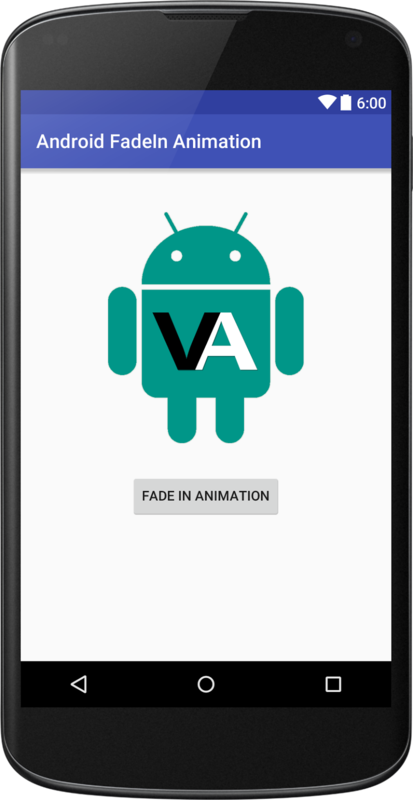 Now, run your android fade in application and click the Fade In Animation button.